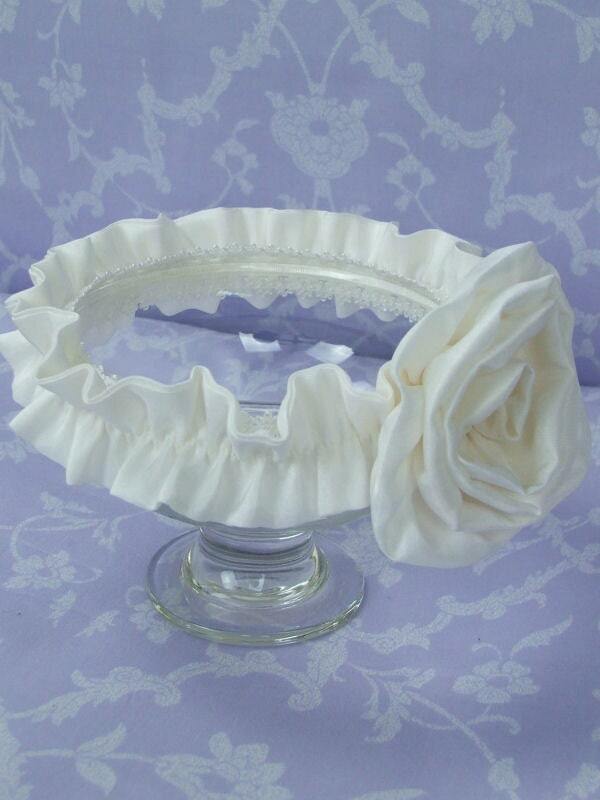 Our collection of elasticated head bands is simple gorgeous . One size fits all ages, soft elastic. 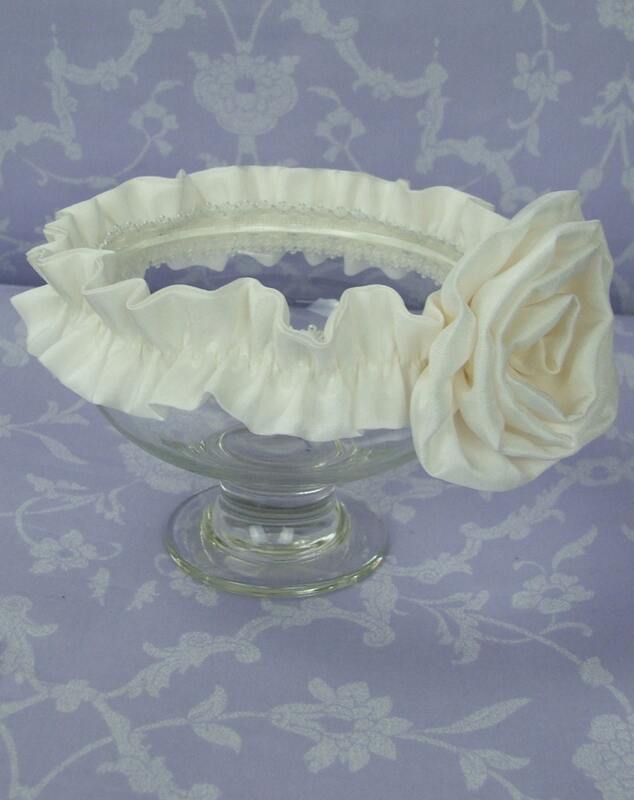 The 100% Ivory silk frill is approx 1 inch wide. 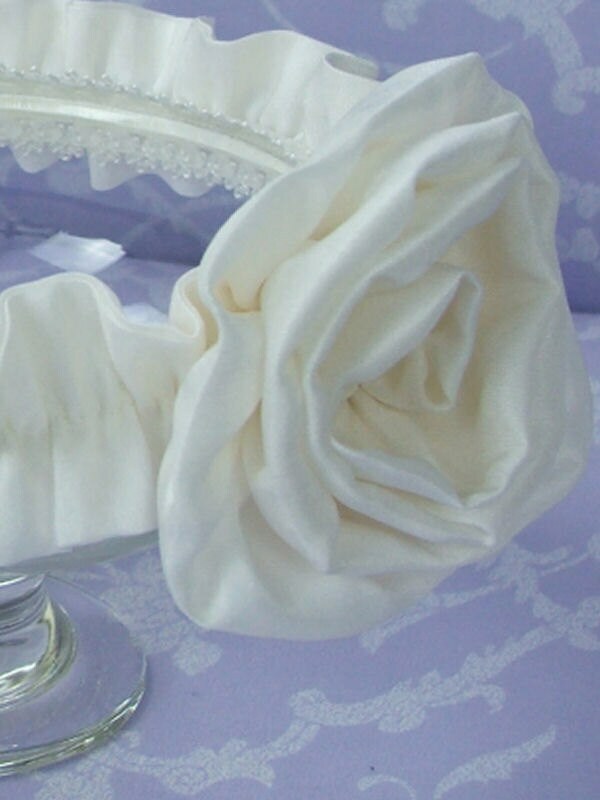 The handmade silk Rose is approx. 3 inches wide . Most often the fancy detail on these head bands is worn on the side near the ears tilted or level. Very cute. Orders take 7 working days for production, though a rush order may be considered if requested and agreed by email prior to ordering.